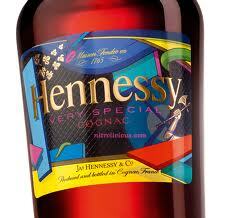 Hennessy Cognac has collaborated with world-renowned artist, KAWS, to create Hennessy V S bottle. The new bottle is expected to be released in September 2011. The company said the bottle, which marks its first customized collaborative project in 2011, carries the signature KAWS artwork and is individually numbered. The Hennessy V S bottle will be available across the country in 750ml sizes for retail price of $29.99. Hennessy senior vice president Rodney Williams said the brand is pleased to present the world with a quality variant and to create out-of-the-box partnerships that improve the consumer experience.